of clothes. I called it my MINIMALIST ADVENTURE. not acquire tons of things like I had in the past. and worked on some software projects. I GOT SEVERELY BURNED OUT. you name it. I lived and breathed marketing. into something that I had lost my passion for. in all sorts of ‘networking’ stuff with social networks, etc. to all the emails that hit my inbox every week. I think it’s just becoming a bigger fire hose everyday! a data zombie — like most people are today. 1. I deleted my Twitter account. wasting a lot of my time. 2. I deleted my Facebook account. Facebook had me logging in many times a day. and ‘brainstorming’ groups I was a member of. actually was feeling the same way. 4. I changed my email address. workers, and other ‘mission critical’ people. they saw my new email address) etc. how much I was using the computer everyday. be online a short amount of time each day. be in the Video Game/Entertainment business. game has barely been out for one year. of the fastest growing industries in the world. from desktop computing to mobile computing. The outsourcing advantages are common sense really. 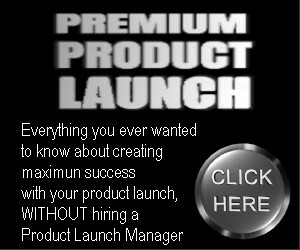 really build many of their own products. your disposal to have the best chance of survival. I ultimately love being an entrepreneur myself. email when it’s done with download instructions. I won’t be producing any new marketing products. $1MM but think they can sell it for more. We’ll see.